Here's an easy mod for those of you that are flying with PG risers and higher attachment points. I've been using this on my gliders with split-A's for years with no issues. The concept is simple, you are just adding an extension to the split-a's to make them easier to reach in flight. First get a length of stiff, brightly colored nylon cord, about a 18 inches longer than your risers. 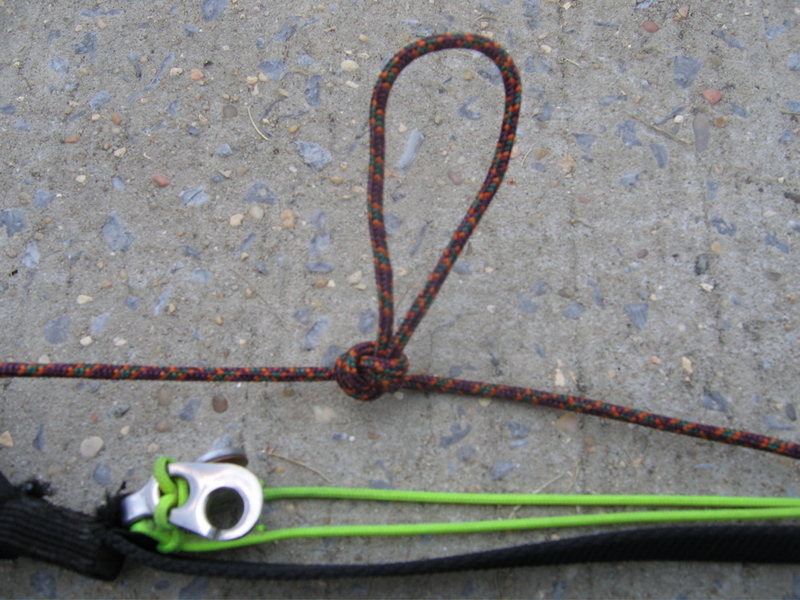 Tie your favorite looping knot (figure 8 loops, or butterfly knots work well) in the middle to get a loop big enought to get a couple fingers into. Position this loop somewhere near the middle of your risers - make sure its in a place you can easily reach, but not so low as to restrict the distance you can pull the loop. I like mine just below the speed bar pulley. Now take up the slack and affix one end to the outside of your outside-A mallion and the other end to your hook-in loop. Don't make it too tight, you want some slack when you are flying. Also, don't make the knot on the riser attachment point too tight as to stress or rub your riser material. 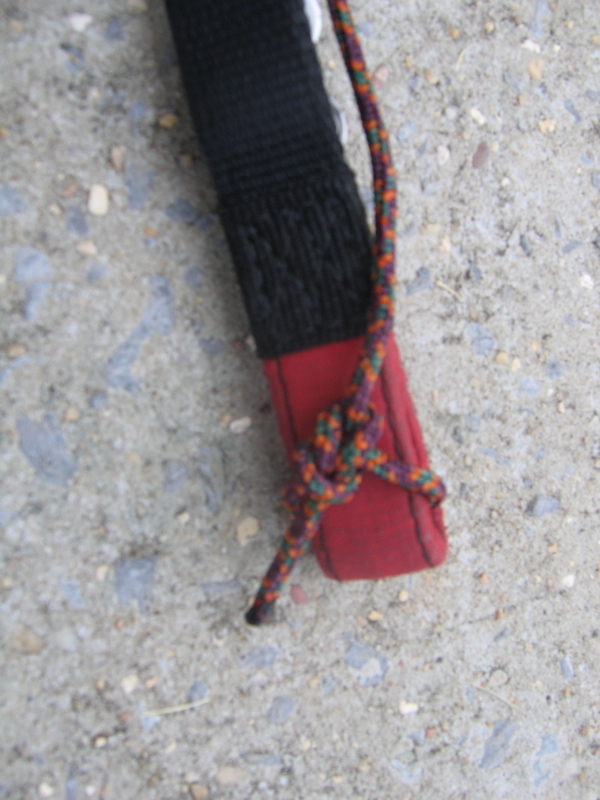 I use bowline knots on each end. Now you are ready to fly. The loop should be easy to access in flight, just remember that since your hands are in a lower than normal position, you may need to let of your brakes to pull really big ears. (Note that the photos are from an Ozone Vibe, which is a 3 riser glider, the cord really is attached to the outside A riser, not the B riser). 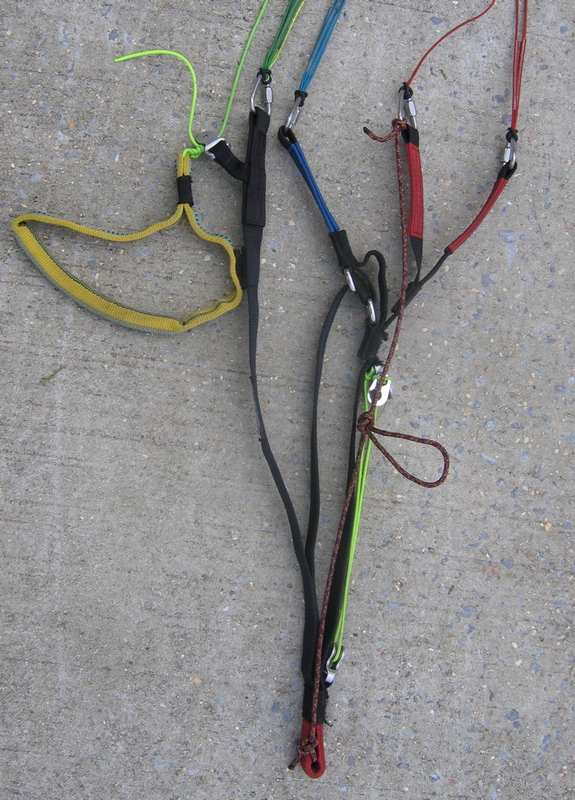 If you don't have split A's, you can do the same mod, by attaching a small brass pulley to your outside A line, and tying the cord to the pulley. Gin has used this in their production gliders for years. 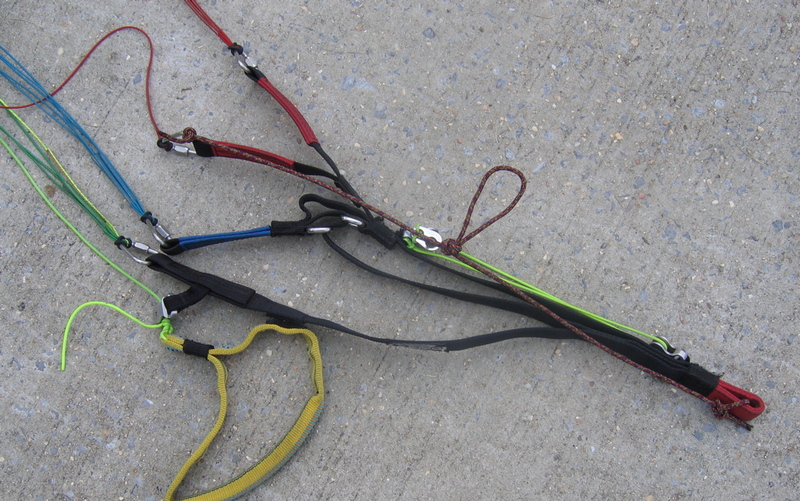 Beware if you tie a knot in any line/rope you half its load capacity.